EV2017VÉ Conference & Trade Show is taking place from May 29 to June 1, 2017 at the Hilton Toronto/Markham Suites Conference Centre & Spa in Markham. EV2017VÉ solicits the presentation of your latest research results, technical developments, demonstration projects, practical and conclusive experiences, innovative business models, public policies, and strategies, for all modes of transportation – individual transportation, fleets, public transit and public transportation, specialized and commercial vehicles. Deadline to submit your abstract: Friday December 16, 2016. Click here for detailed information on the abstract submission process. The above topics are open for abstracts (along with many sub-topics). To see the complete list of topics and sub-topics, please visit our website. The “smart” quality of any component evolves and depends on a variety of technologies and skills that will all play an impacting role on the future of e-mobility in order to better serve the Canadian customer. The abstracts will primarily be selected for oral presentations during the sessions. Some additional abstracts may be retained to be presented in other formats. Ready to Submit your Abstract? To submit your abstract, EV2017VÉ invites you to carefully read the Submission Guidelines available on our website. When ready, you can fill out the form online. 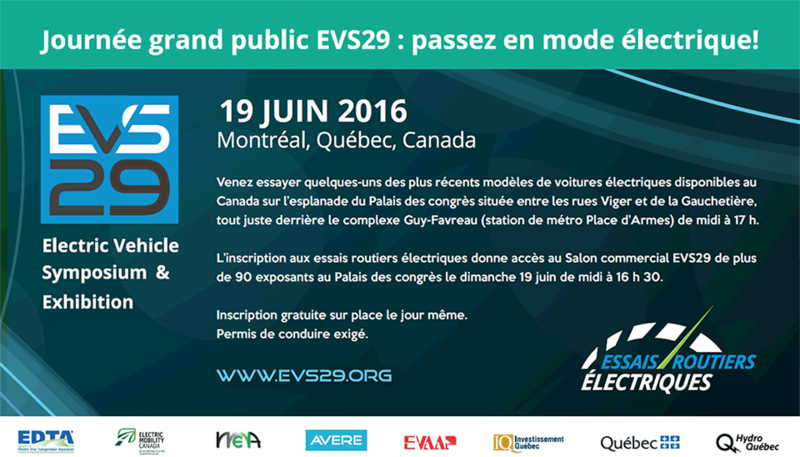 If you have any questions, you can contact the EV2017VÉ Secretariat at evconferenceve@emc-mec.ca. © Electric Mobility Canada, 2008-2014. All rights reserved.